Have you ever seen a mind-blowing creative shot and wondered how the artist made the image? 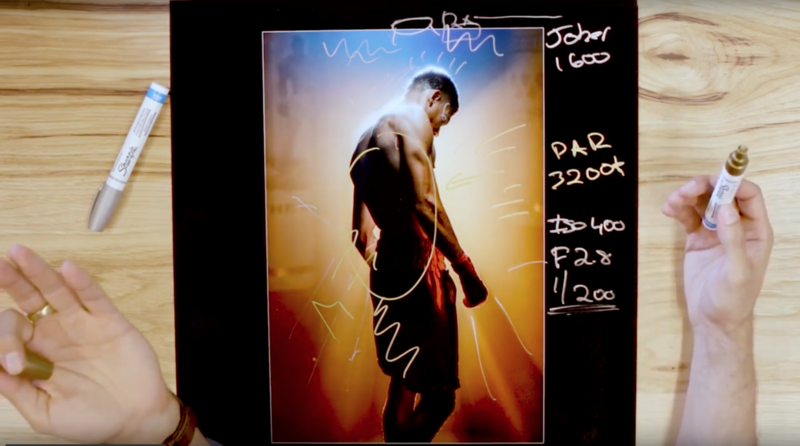 In this very informative 10-minute behind-the-scenes video, see how Alexis Cuarezma shot these creative portraits of professional boxer, Devon Lee. In this weeks installment, it is the fourth in a 10-part series called "Breaking Down The Vision," where Cuarezma goes in depth on how he creates his favorite images, covering his lighting, camera settings, and thought process behind each piece of work. 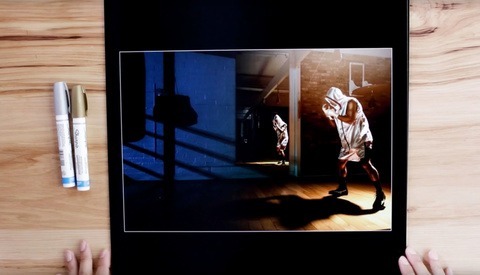 In this video, Cuazerma breaks down a multi-faceted project he was commissioned to do for Lee in the Team Watson Boxing Gym. For this project, not only was Cuazerma the creative photographer, but also the director for a music video. That being said, he had to shift his mindset and adapt to using a different setup that he wasn't used to — that being using continuous lighting to account for shooting photos and video. In this image, see the settings and lighting that was used. As explained in the video, he wanted to create drama in the scene and implement the split color scheme. To accomplish this look, he placed a Par 3,200 K continuous light as a backlight that emitted a warm glow and highlighted the haze that filled the room. Next, a Joker 1600 light was placed overhead, which gave off a cold blue tone. Since Cuazerma was shooting video, he was shooting with only primes, and opted to open his aperture to f/2.8 which was against his normal routine of shooting at f/8 and above. All the effects he mentions were all created in camera which I thought was very inspiring and made me think about how I shoot my images. If you want to see the rest of the series, be sure to check out his YouTube Channel for more inspiring videos each week.